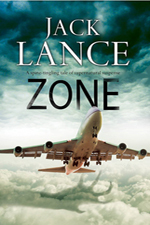 Zone by Severn House Publishers is out now! Severn House has released Zone on November 27th. The book has 224 pages and is available as paperback (ISBN: 9780727885692). In the UK the book costs 19,99 pounds. The USA edition will be available from March 1st 2016 for 28,99 dollar. In the Netherlands, Bol.com sells the book from March 1st 2016.